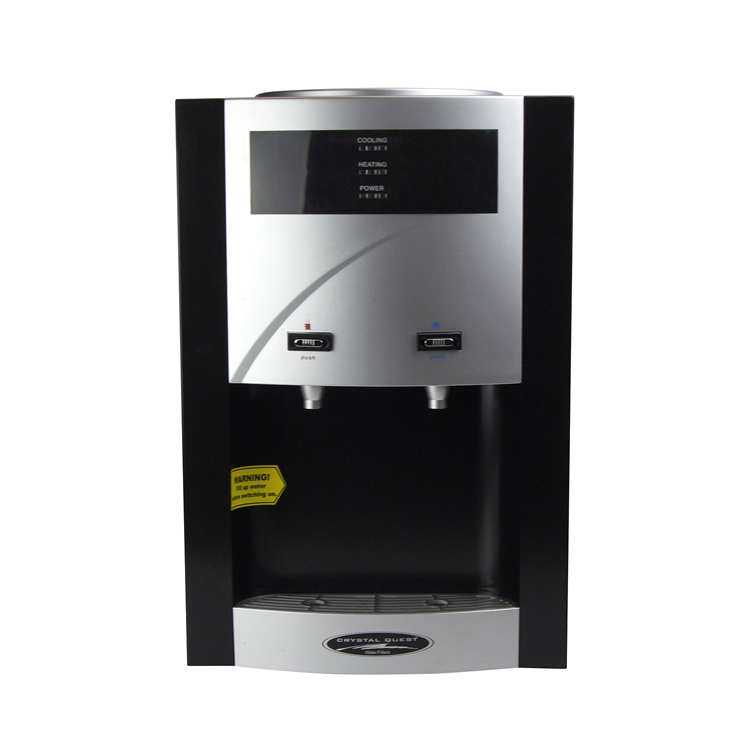 The Turbo Countertop Bottleless Water Cooler is the perfect option for office break rooms and even on homes that have wide kitchen counter tops. The compact design allows you to fit the Turbo Counter Top Filtered Water Cooler anywhere from your kitchen counter at home to the counter in the lunch room at work, or to the conference room all without the cooler taking up so much of your valuable space. 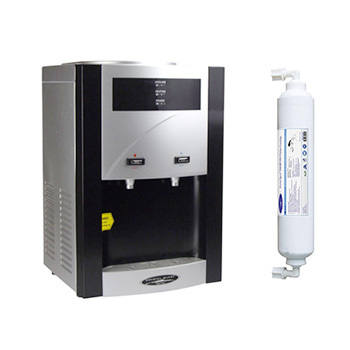 Its advanced features and superior 5-Stage Filtration process provide comfort and convenience by having your kind of clean water within your reach and hassle-free. You never have to deal with heavy bottles and delivery schedules anymore. Save space, time and money with this Cooler and enjoy pure and healthy water 24 hours a day. 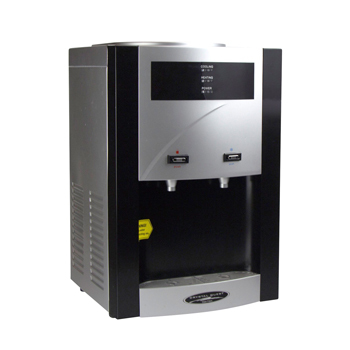 Turbo Bottle-less Counter Top Water Cooler that is plumbed directly into your cold water line for continuous water supply. A five-stage cartridge removes typical city water contaminants. 18.5" tall, will fit most kitchen counter tops. Lowest Price Delivered! Below manufacturer's price, delivered! Low Cost Flat Rate Ground Shipping in continental US* (Restrictions Apply). Reduction of a wide range of contaminants including dirt, taste & odor, known carcinogens and chemical contaminants. Automatic hot and cold water temperature control. Dispenser hooks right up to the water line. Each unit undergoes a thorough 24-hour manufacturer test by before being shipped to you. 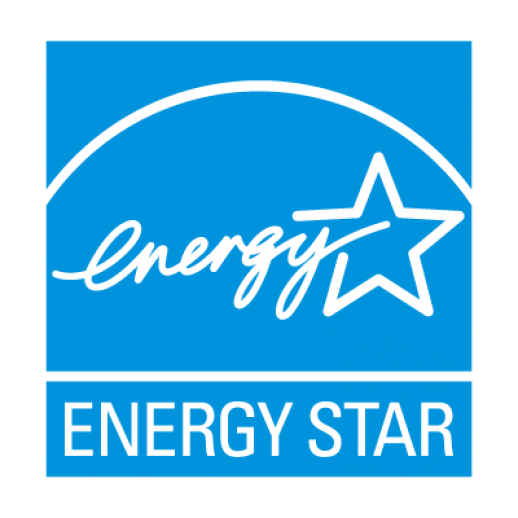 Warranty: 1 year for the complete system, not including replaceable filter media. 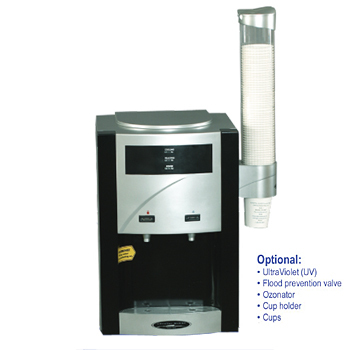 Filter cartridge is included with the system.